Sustainability is undoubtedly one of the buzzwords of the decade and most Facilities Managers today consider it when they are making major operational or investment decisions about their buildings. Of course, it makes sense from an environmental and societal perspective and it increasingly makes sense financially too, but some areas are complex to improve, such as catering. 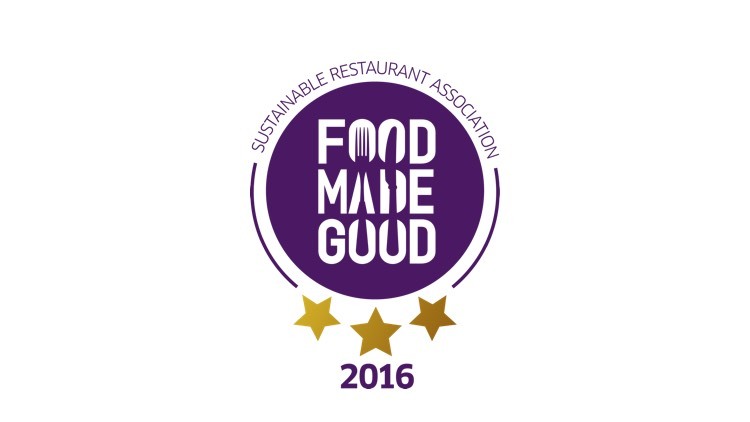 Boutique caterer, bartlett mitchell, and the SRA (Sustainable Restaurant Association) are two organisations that have been working hard to improve the sustainability of workplace catering. For many companies, knowing where to start on their sustainability journey is one of the biggest challenges and bartlett mitchell knew that they needed specialist and practical guidance on improving sustainability. Luckily for them, the SRA could provide this. The SRA is a not-for-profit organisation that was established in 2010 and it states “sustainability is about a business managing not only the financial but also the social and environmental impact of its operations. By taking sustainable action, restaurants can make a huge difference on issues such as climate change, animal welfare and food waste”. The SRA is an impressive source of knowledge and advice for companies to tap into. Businesses that choose to work with them on achieving a sustainability rating will not only increase their knowledge of the subject but also quickly identify practical actions to take. The SRA promotes three principal Pillars of Sustainability – Sourcing, Environment and Society. Each Pillar is broken down into 5 separate areas each for the first two pillars, and four for the latter – 14 areas in total. Each of these 14 areas must be reviewed and considered. For example, under Sourcing, the areas of Environmentally Positive Farming, Local & Seasonal, Sustainable Fish, Ethical Meat & Dairy, and Fairtrade are covered. Contract caterers generally don’t control all the elements they impact on because they provide catering services in other companies’ premises and therefore, they are less in charge of their own destinies. They rarely decide on or purchase key elements that go into the operation such as restaurant furnishings, kitchen equipment, utility services, waste disposal, etc. Their clients, who are outsourcing their catering, rely on the caterer’s own policies to ensure that their systems and processes are sustainable. The result of this is that for best results, it makes sense for contractors and their clients to work together to achieve mutual sustainability objectives. Not all decisions will be for the caterer to make, so input and commitment from the facilities team to the sustainability process is essential. Waste management is one such decision area.